2Perform | Fitness...Faster. The premier McKinney fitness studio and ARX gym. Call 972-833-1269 for more info. Invest in your fitness and improve your game. Click photo to learn more. Small Group Training Classes Daily. Call for details. BORED WITH EXERCISE? WE CAN HELP YOU MAKE FITNESS FUN AND FABULOUS! Our Certified Trainers Guarantee to Transform Your Body — FAST! Check out our Group Training. Day and evening options available. 20 Minutes. Twice a Week. Train Like a Champion. One-on-one training to get fit faster. 20 minutes, twice a week. Come as a group or as a solo. Great training team, same quick results. 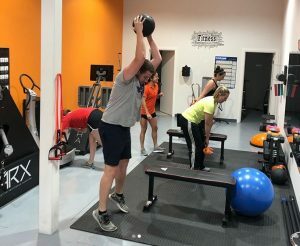 2Perform Fitness is a McKinney fitness studio and gym that features ARX fitness. 2Perform features both one-on-one personal training and group classes using an ARX program that enables you to achieve fitness faster! In just as little as 20 minutes a week, you can reach and maintain your fitness goals. 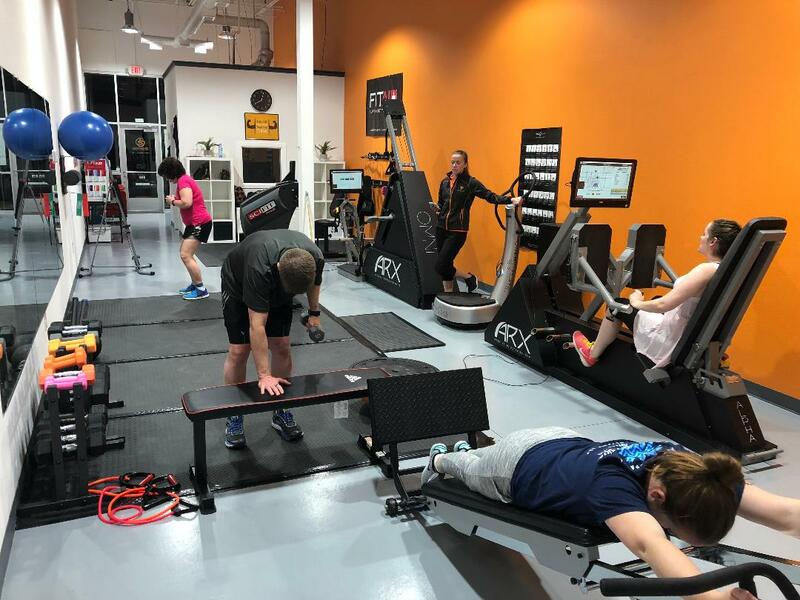 ARX (adaptive resistance exercise) is a fitness regimen that uses high-performance equipment to help you maximize your workouts. By using resistance to accommodate your own force output and measure it accurately, you can drastically reduce the amount of time it takes to achieve or improve fitness. Not sure if 2Perform is right for you? You can try it for free. To take advantage of your two free sessions, all you need to do is sign up for an initial consultation. 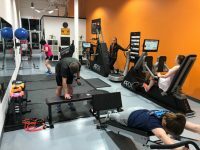 Don’t miss this chance to see for yourself how you can gain muscle, lose weight, and get stronger with our unique program–just 20 minutes twice a week. There’s no commitment. 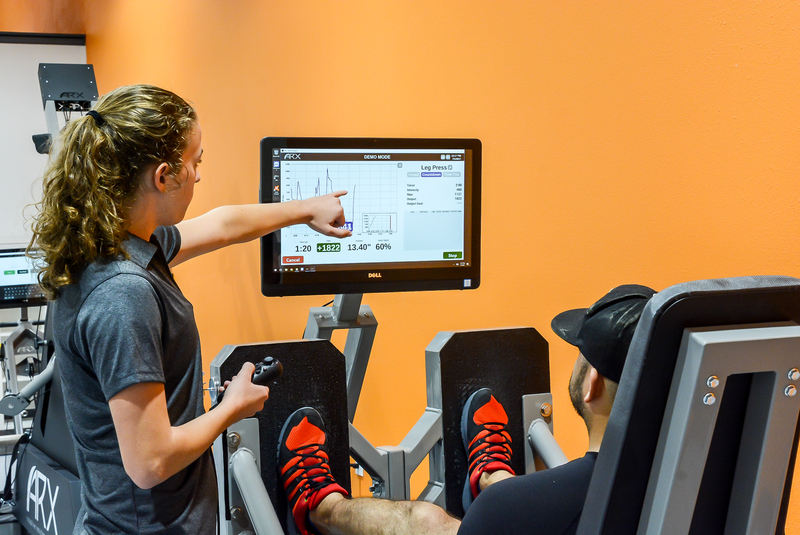 Work with a 2Perform personal trainer to develop a customized fitness program based on ARX fitness principles. 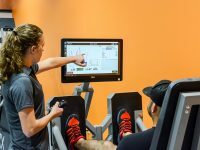 Our personal trainers can help you take full advantage of the latest Hi-Intensity Interval Training (HIIT) techniques and ARX fitness principles. Our unique program can help you reach your fitness potential in just 20 minutes twice a week. Stop in for a visit to learn more about how we can help you increase strength, improve muscle tone, and reduce body fat. Be sure to claim your 2 free sessions to see if the 2Perform Fitness personal trainer system is right for you. 2Perform’s new small group training is based on the same ARX fitness principles used in its personal training. You’ll get the full advantage of resistance exercise combined with Hi-Intensity Interval Training (HIIT). It’s low impact, safe, and you’ll be amazed at how much you can accomplish in just 20 minutes twice a week. You can become stronger, gain muscle tone, and improve bone density. Combined with proper nutrition, our one-on-one, and small group training can reduce body fat and increase body composition. Class sizes are limited so book soon. Visit our Book 24/7 page to see available sessions or book a class. Do you want to squeeze in a workout but have the kids with you? You can scratch that excuse off your list because we’ve got a solution. Bring the kids with you! We are kid friendly. We’ve even set up a special place so the little ones won’t be bored. When they get tired of watching you set a great example by keeping fit, they can take advantage of our books, cable TV, and more. There’s a good chance that when you’re ready to leave they’ll want to stay. If you have any questions about our children’s policies, stop in, give us a call, or drop us a note. I have been working out at 2Perform Fitness since mid-June. I do not enjoy working out but know I have to stay healthy.There are many aspects of 2Perform Fitness that I enjoy and make me want to go work out. Marcus and his staff are top notch. Their encouragement is amazing and really make you push yourself and are rooting for me all the way. The equipment is state of the art and I enjoy watching my progress on the computer. It helps me because I can view what I’m doing in comparison to what I’ve done and know how much I’ve accomplished…. 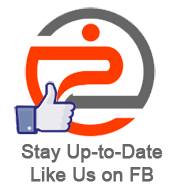 2Perform Fitness serves the Dallas, Texas metropolitan area. Our McKinney fitness studio is conveniently located less than 40 miles from the Dallas city center. We are just minutes away from Frisco, Plano, and Allen.